The objective of the Risk Management School is to help growers address agricultural risk in an educated and calculated manner. In some instances, growers increase their awareness of emerging risks or risks they had not considered, as well as various risk management tools, techniques, and strategies. 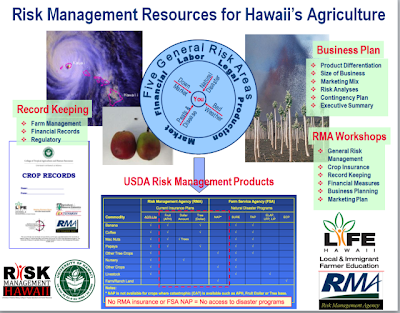 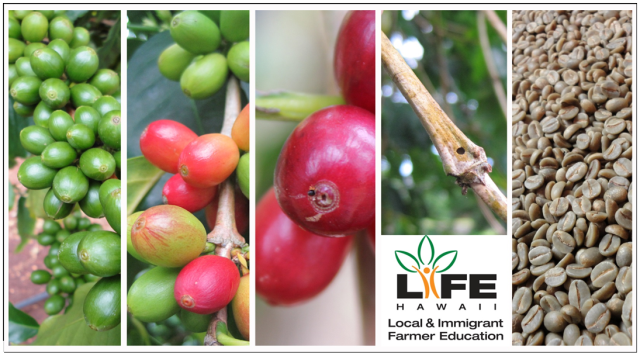 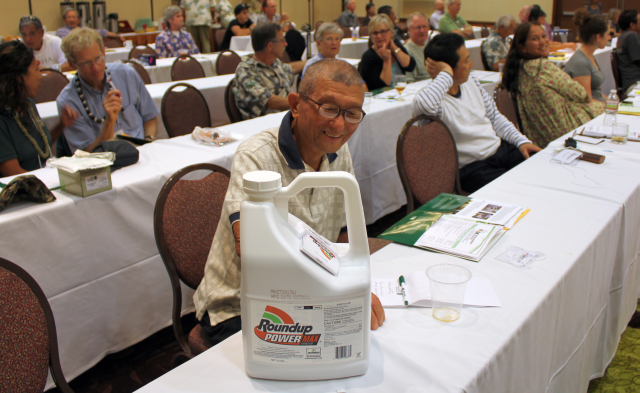 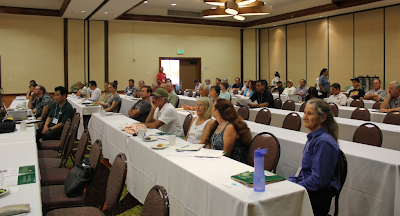 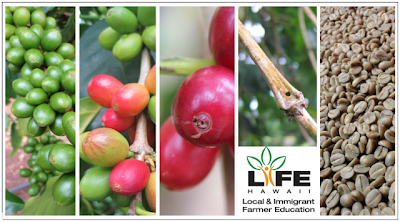 LIFE and Risk Management Hawaii would like to thank all of its participants, speakers and trade show participants for their continued support of Hawaii agriculture and farmers. Extension Agents Jari Sugano and Andrea Kawabata welcoming participants to the school. 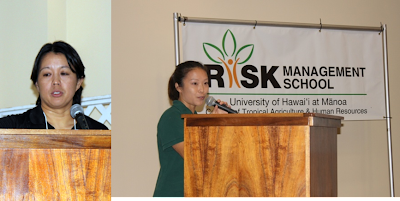 Sylvia Yuen (Dean of UHM CTAHR), Diane Ley (USDA-FSA State Director) and DayDay Hopkins (County of Hawaii R&D) welcomed the Risk Management School participants. Ley also informed growers to prepare for the Reimbursement Transportation Cost Payment (RTCP) program – last year’s applicants received an average of $2000 each. 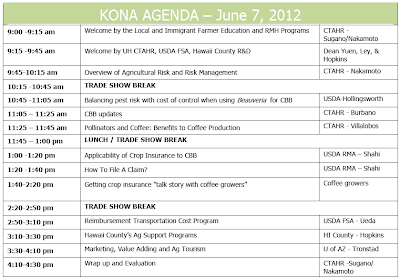 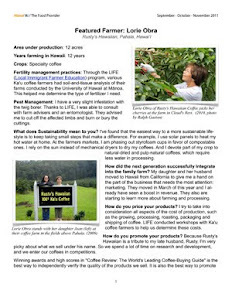 Hopkins described the County of Hawaii agriculture support programs. 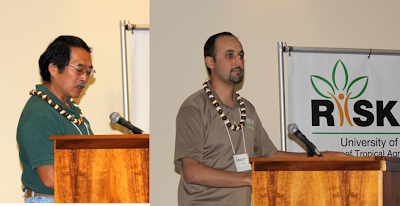 Extension Economist Stuart Nakamoto of UH-CTAHR and Parm Shahi from USDA-RMA on risk, risk management, and crop insurance. 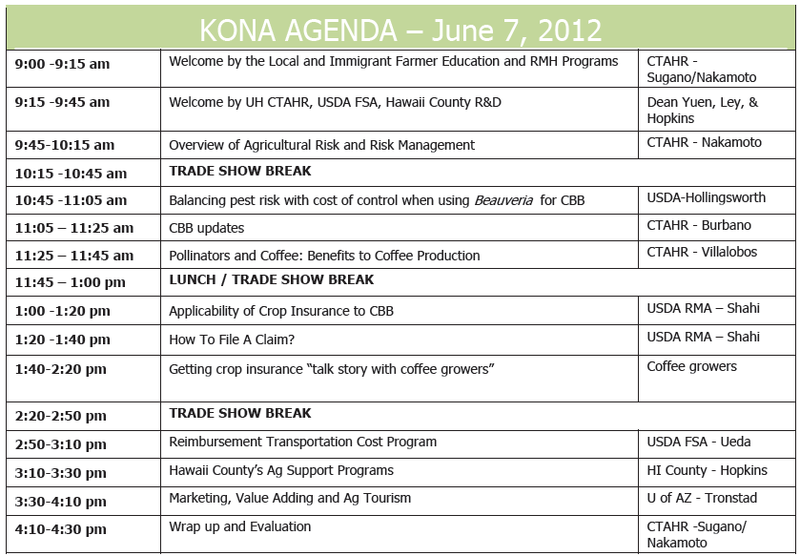 Growers can learn more about these topics in separate workshops. 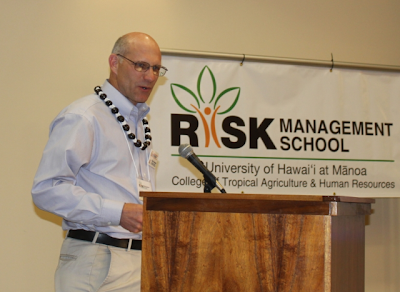 Russell Tronstad, a guest speaker from the University of Arizona, shared his thoughts on how growers could do marketing, value adding, and ag tourism. 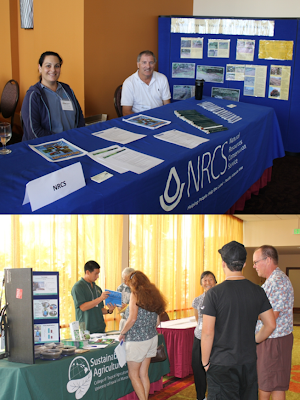 Attendees also had a chance to mingle with vendors and agencies at the trade show. RM School attendees had a real-world exercise in risk management – the risk exercise game conducted by CES agents Randy Hamasaki and Andrea Kawabata. 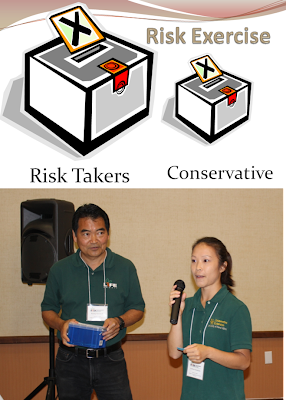 Participants elected to enter a drawing as either a risk takers for a small chance at winning the single, big prize (shown here) or as a conservative, with an almost guaranteed chance of winning a smaller prize (box full only partly shown). 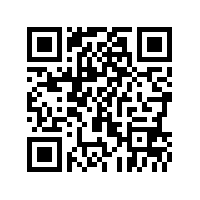 The happy risk taker! 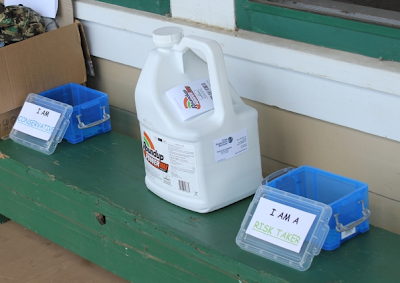 (Not shown – those that gambled and did not get anything). Happy conservatives with their smaller prizes. 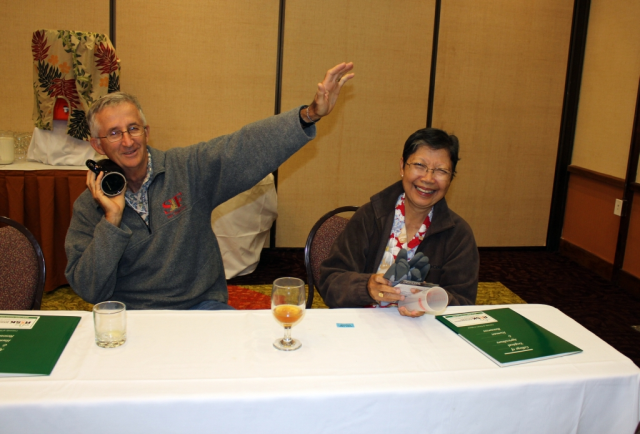 Sabina Swift (on right, w/husband Steven) is a retired specialist from CTAHR, and was instrumental in creating the LIFE program.